"Children are born with a natural compassion towards animals." The first time Jennifer Black realized her son had a special bond with animals was earlier this year, when the family visited Save Our Seabirds, a bird sanctuary in Sarasota, Florida. 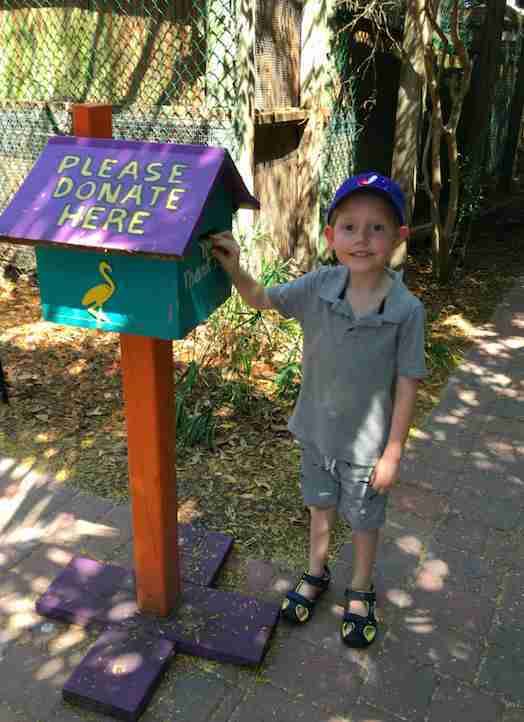 The little boy had the urge to give something to the bird, so he asked his parents for some money to put in the donation box so One Wing might get some extra food. 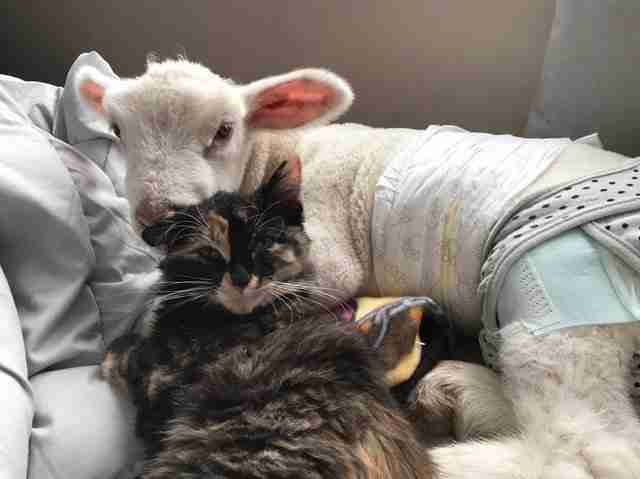 Ever since that moment, Lleyton has been obsessed with helping animals. “He runs around the house making up songs about not wanting to eat animals,” Black told The Dodo. Lleyton’s love for animals isn’t just directed toward One Wing — the little boy follows the activities of farm animal sanctuaries and rehabilitation centers on their Facebook pages. 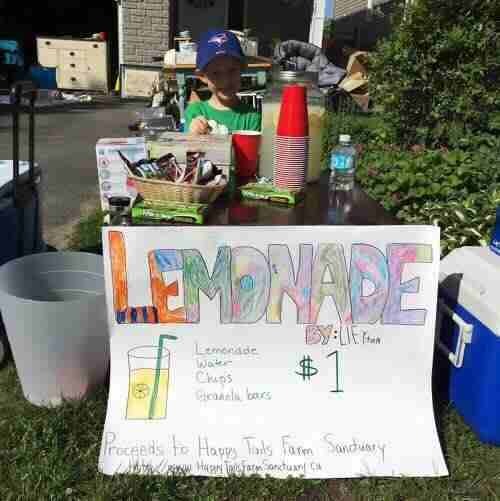 So when the family decided to have a yard sale at their home in Ottawa, Canada, Lleyton decided to start a lemonade stand, and it was clear the earnings wouldn’t just line his pockets. He decided to donate all the proceeds to one of his favorite sanctuaries, even though he had never been there in person. The money Lleyton earned at his stand helped the sanctuary buy some much-needed supplies from its Amazon wish list. And soon enough, Lleyton got to see the fruits of his action. 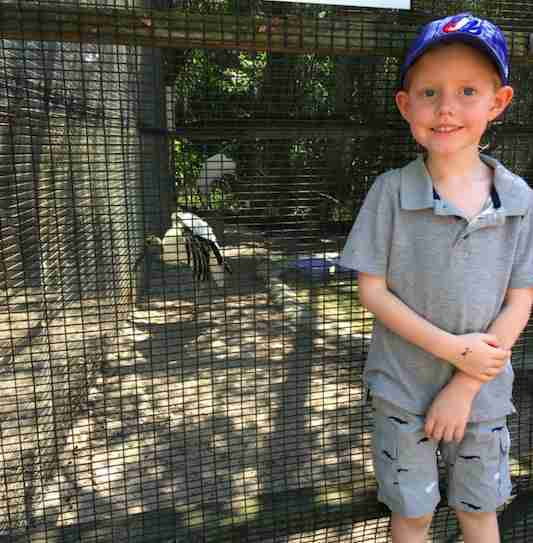 Last weekend, Lleyton and his family were able take a day and drive a couple hours to visit the sanctuary. 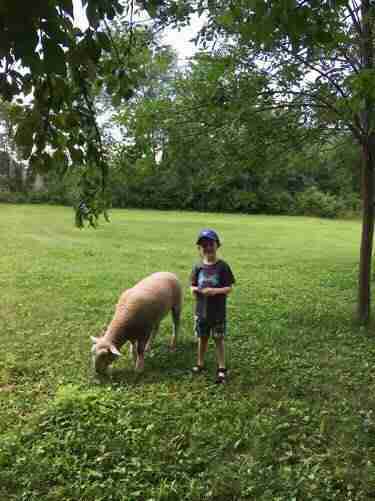 There Lleyton got to meet a whole menagerie of rescued animals in person, including a sheep named Charlie, who was rescued when he was just two days old from a farm that didn’t want him. 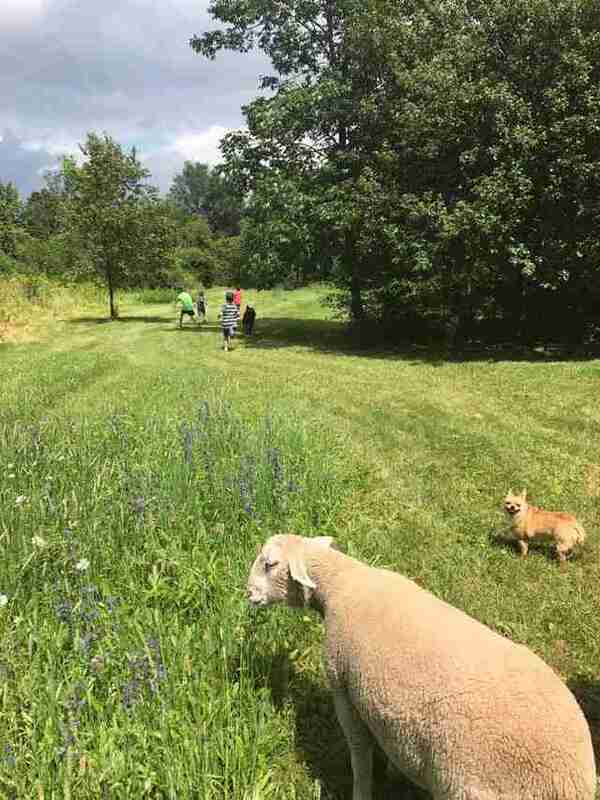 When Black asked her son which animal was his favorite at the sanctuary, Lleyton said, "Charlie, the sheep that came for a walk with us! He's like a dog!" Ever since his visit, Lleyton has been asking his mom if they can move closer to the sanctuary. And when Black asked her son if he would do another lemonade stand to benefit Happy Tails, he just said, “Yes! Yes! Yes!" To help with Lleyton's fundraising efforts, you can make a donation to Happy Tails.